IPL treatments, or intense pulsed light treatments, are often used to remove excessive or unwanted hair. 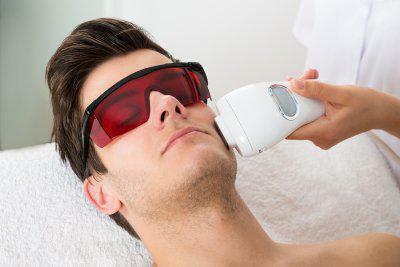 Both men and women can benefit from IPL hair removal in San Jose . IPL hair removal treatments are performed with an extremely safe, effective Palomar machine. Keep reading to learn more about the benefits of IPL hair removal. Hair removal procedures are performed using a Palomar machine, which delivers short, intense burst of broad spectrum light to the skin treatment area. The Palomar machine sends out scattered wavelengths of diffused light across the treatment area, rather than concentrated lasers which may burn or damage the skin. Because the application of broad spectrum light is non-invasive, the procedure requires no anesthesia, no incisions or stitches, and does not cause bleeding. It is less risky and less time consuming than waxing or shaving your hair. IPL hair removal can permanently reduce or eliminate hair growth in the treatment area. This hair removal procedure is most effective on darker, coarser hair. The light emitted by a Palomar machine during IPL hair removal penetrates deep within the skin, targeting melanin, and leaving surrounding tissue untouched. Once the light reaches the hair’s root, it heats the root and hair shaft, destroying the follicle, which is responsible for hair growth. IPL treatment also allows for hair removal on much larger areas of skin than electrolysis or other hair removal methods. Most patients report no pain associated with IPL treatment for hair removal. At worst, you may feel a very slight stinging or burning. Unlike laser hair removal treatments, you won’t experience bruising, swelling, irritation, or scaling of the skin. This is because IPL treatments emit such a low level of light that you don’t endanger any of the layers of tissue in or around the treatment area.